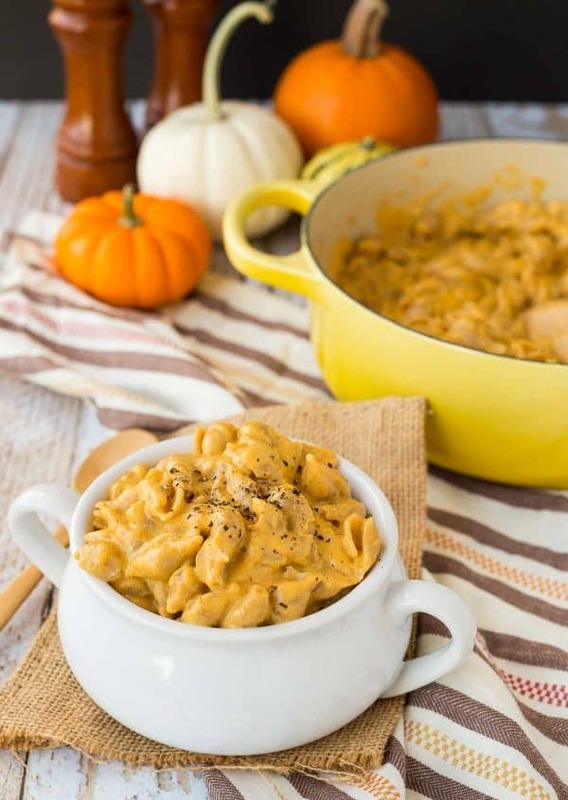 Fall perfection comes in the form of One Pan Pumpkin Macaroni and Cheese with Beer. 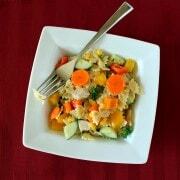 The flavors are out of this world and it’s even a little lighter thanks to the pumpkin and whole wheat pasta. Macaroni and cheese, in any form, is one of my favorite things. My (very old) recipe for the easiest ever macaroni and cheese is one of the most popular recipes on Rachel Cooks. 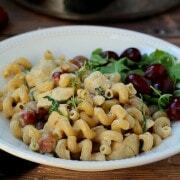 My copycat Panera macaroni and cheese has inspired all sorts of feedback…seems like people either love it or hate it. Like that recipe, this recipe is also a one pan recipe. The pasta is cooked right in the broth, pumpkin, beer, and milk for the creamiest most delicious macaroni and cheese. It’s full of flavor and so easy to make. The great thing about this macaroni and cheese is that it is a little better for you than traditional macaroni and cheese. 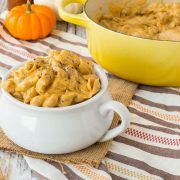 It’s full of healthy whole grains thanks to whole wheat pasta and it doesn’t use quite as much cheese as traditional macaroni and cheese since the pumpkin helps provide creaminess and color. 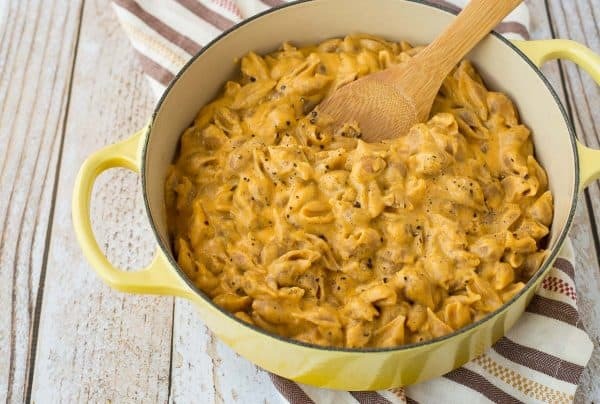 I used extra sharp cheddar in this recipe but it would be great with a more mild cheddar as well. In a large pot over medium-high heat, bring milk, pumpkin, beer, chicken stock, pepper, nutmeg, and cayenne to a good simmer (do not boil). Reduce heat to medium and add pasta. Cook, stirring frequently, for 12-14 minutes or until al dente. Make sure to stir frequently so pasta cooks evenly and does not burn. Reduce heat to low and add cheddar and cream cheese. Be careful to heat milk slowly as it will curdle if you heat it too quickly. Verdict: I loved the bold flavors of this pumpkin macaroni and cheese, you can get the beer, pumpkin and cheese flavors without one overpowering another. Husband’s Take: He loves this, maybe even more than I do. He put tuna on the top, he puts tuna on the top of everything. To each their own. You can use chicken stock/broth instead of beer. Don’t omit it without replacing that liquid, though. :) Enjoy! This was such a hit! I love mac n cheese and adding the pumpkin and beer twist was a near genius move. 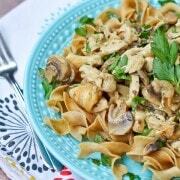 The flavors complemented each other perfectly and I loved the pinch of nutmeg to give it an extra boost. 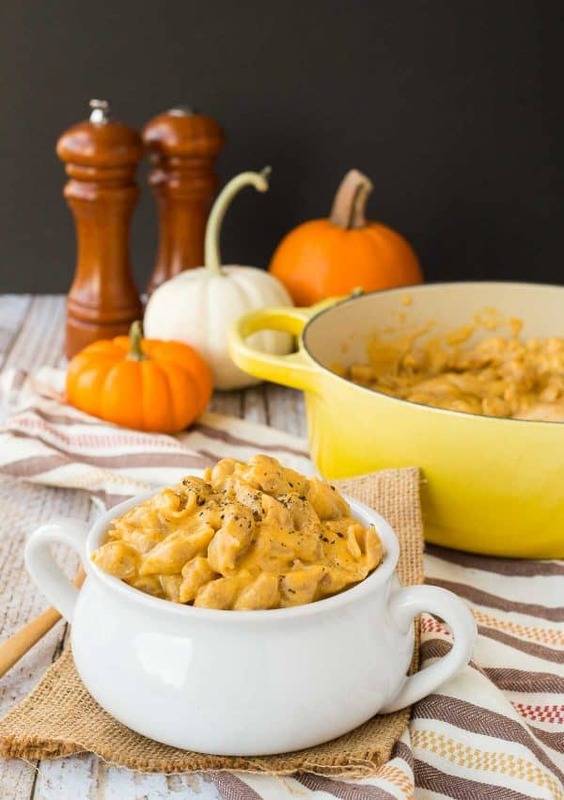 This is sure to be a regular on my list of comfort foods this fall. So glad you enjoyed this recipe! Thanks for taking the time to come back and leave a comment! I agree, Donna! We used a West Coast IPA (Elysium SpaceDust), and I thought the beer taste was waaay too strong also! Made it. Sounded good in theory, and may be delicious with a different beer. IPA was recommended, but a west coast IPA (specifically Stone IPA) Is way too strong of a flavor for this recipe. We love the strong flavor of the beer – I think that’s what make this recipe stand out. In my mind, there’s no sense using a bottle of beer if you can’t taste it. We’re all different, though!